Caliber: 9mm Luger / PARA. 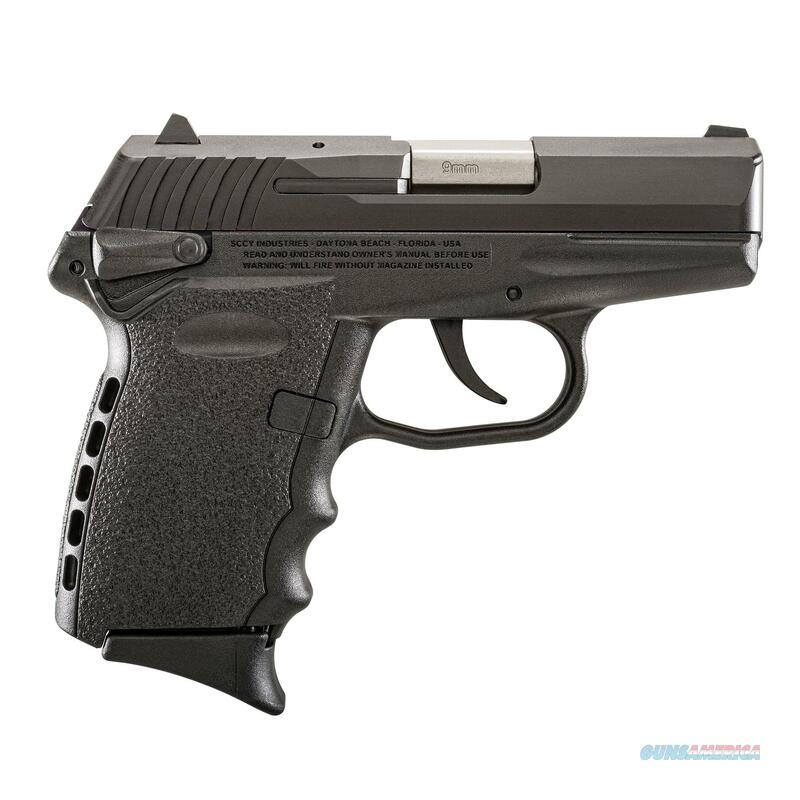 Description: At just 1" wide, SCCY's CPX-2 Gen 2 is a great conceal carry pistol in 9mm. It features a 3.1" barrel, carbon black stainless steel slide with a self lubricating hard nitrate treatment and a scratch resistant black nitrate surface. The barrel is machined from bar stock with 7 lands and grooves having a 16:1 right hand twist. The receiver is made of 7075-T6 aircraft grade heat treated aluminum alloy machined from bar stock. The grip/frame is made from Zytel polymer with ergonomic finger grooves and an integral "Re-Coil Cushion" on the backstrap. It is double action only with a 9lb trigger pull, and has an internal hammer and inertial firing pin to prevent accidental discharge if dropped. The CPX-2 does not have a manual safety. Included with the CPX-2 are 2 double stack, 10-round magazines with a finger extension base installed and 2 flat bottom bases.